The Whacky Ranch is a fun new design of playhouse with crooked styling. 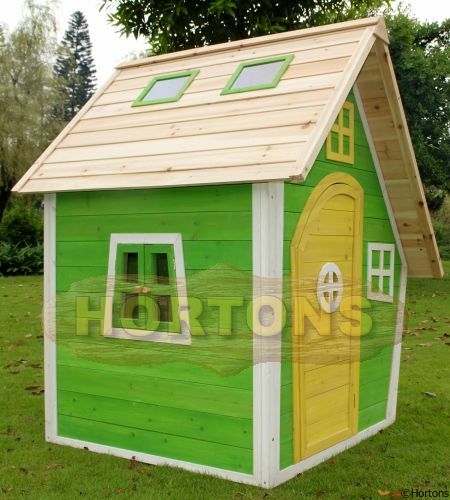 The Whacky Ranch comes already treated with a stain that gives this great play house its distinctive bright green and yellow colouring. This fir wood playhouse with apex roof and modern fun design makes a great place for little ones to play. The Play houses comes flat packed and will take around 30 mins to build. The Whacky Ranch does not include a floor which is available separately should this be required..